This is my first article here, till now I,ve posted some on Polish forums and on FB, but since I’m trying to improve my modelling skills I’ve decided to go bigger and wider. So here I am. I spend quite little time on this hobby, so there’s not much to show, but I will anyway, maybe I’ll inspire someone and for sure I will learn a lot from those who are miles ahead of me. Ok, lets get to the point; ever since I’ve seen her for the fist time she’s become my favourite. Rafale is her name and she’s a looker! And her most impressive look is being busy carying lot of her stuff. Therefore i made her flyin’! Made it some 4 years ago. Hope you like it. Constructive criticism appreciated! No criticism here, Dominik. 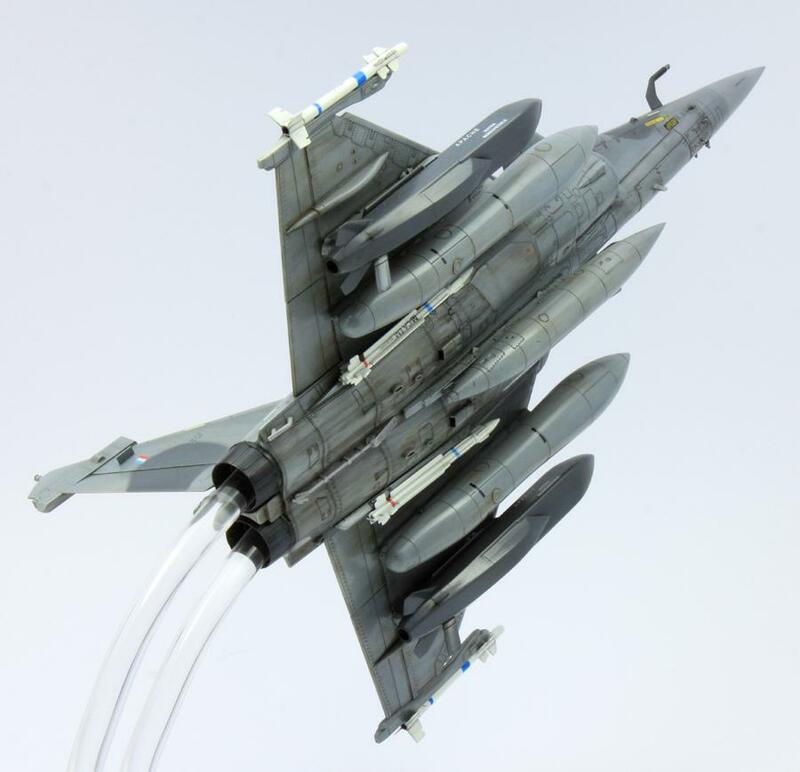 Your Rafale looks great! It IS a beautiful jet with very sleek lines. Lovely work Dominik. I like your choice to show it in flight. It looks dynamic – like it is really flying. The way you have mounted it is very interesting. Can you tell us how you did it? Well done. 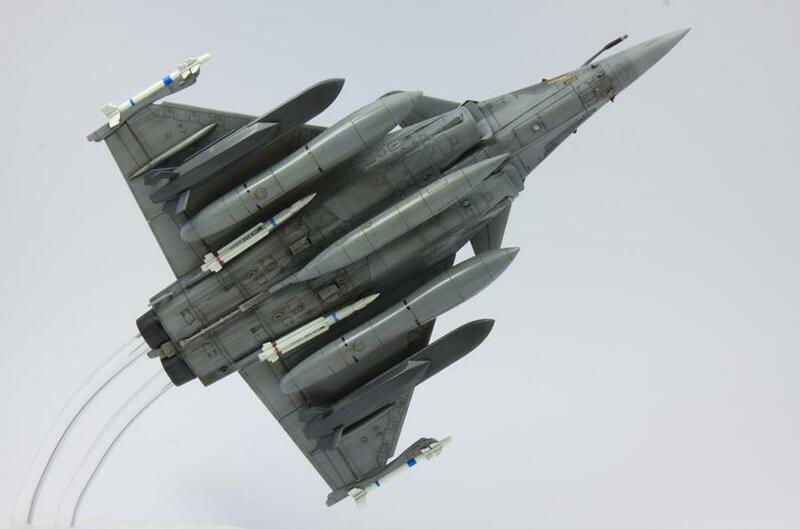 In deed the Rafale’s a beauty. What else would you expect from France? How did it go with the Hobby Boss kit? Quite well. I cant remember any problematic issues. Canopy was making some minor troubles with fitting, but most difficult was gluing fuel probe at the right angle ;). Outstanding build and photos as well. Very nice presentation and welcome to the site. Thank You Craig! Thanks for kind words! I still prefer the Mirage 😉 So Dominik welcome to iModeler and I would say you are either too modest about your modeling skills or you had some modeling troll out there criticising your model – (you know, those guys that never present one single model made on the forums but love to point “faults and faux pas” on other people work). Hi Pedro! Thanks for encouragement! Yeah, Mirage is being build as we speak ;). I’m not modest, its just that I don’t spend as much time modelling as I’d like, and still I’d like my models to be good, so every advice is appreciated. Stunning build mate! The second photo of the underneath really shows off the skill put into the build, and also the character of the aircraft. Wow… Thanks! So nice of you to say it! 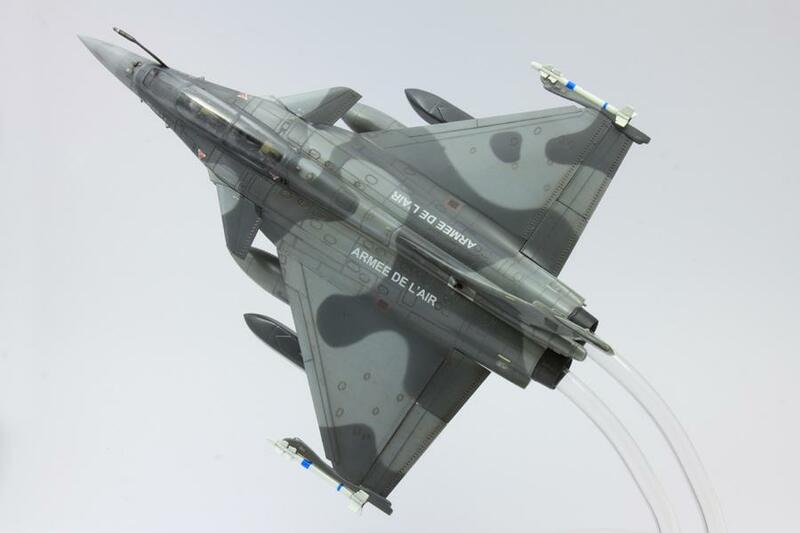 Very nice model and you’re right, the Rafale is the best-looking current jet. Not sure if it’s the mot beautiful jet on the world, but you build is spectacular. Keep building & welcome to the asylum. A beautiful build of an equally beautiful aircraft. Well done!!! 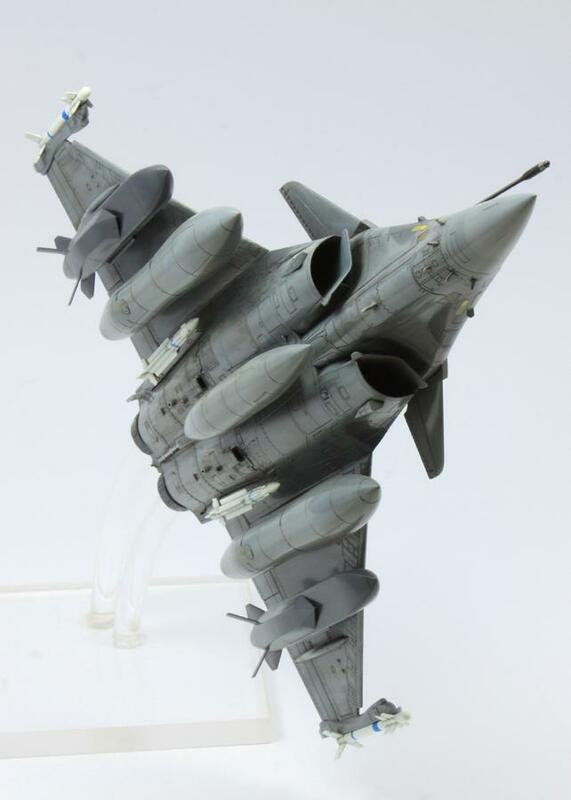 That’s a great-looking Rafale Donimik! Welcome to iModeler – you’ve already got impressive skills so improvements are likely to come in leaps and bounds as you pick up tips from all the modeling gurus here! I love the in-flight pose – that’s the only way I build them (check out my iModeler blog if you want to see how I mount them). Aircraft were intended to be in the air and that’s where they look the most natural – especially when loaded for bear. I know you can show off more detailing skill in places like the cockpit and wheel wells, open access panels, etc., but I just prefer the sleek lines and kinetic energy of an aircraft doing what it was intended to do! 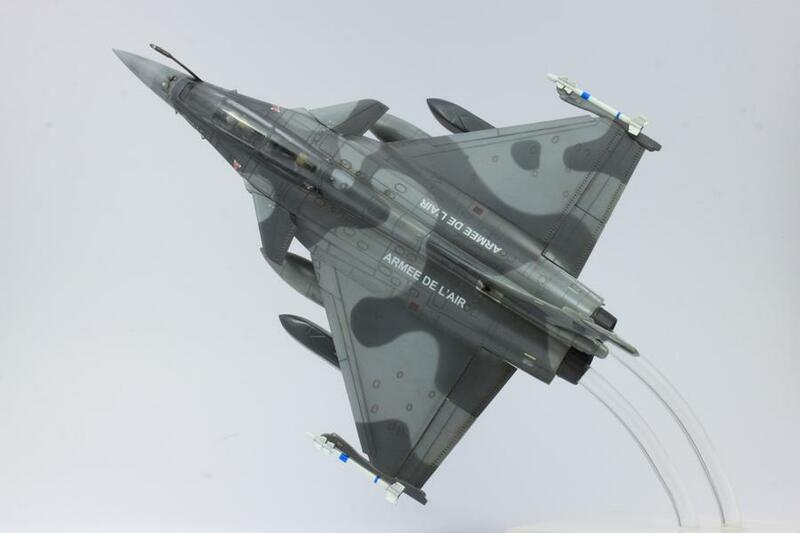 Nice model work Dominik, the photography is very well done and displays so well the graceful lines of the Rafale, thank you for sharing them. Hi Dominick. Welcome! A couple of your pictures almost had me fooled until i noticed the stand. Excellent weathering, especially underneath. I wont buy in to the ‘best looking’ discussion, but the Rafale has to be near the top & yours is a beauty.